Intugame VR lets you play PC games in virtual reality: it uses your smartphone and a virtual reality headset of your choice! You put your smartphone in the VR headset and press play, our app then takes care of the rest. We stream the game from your PC to your smartphone, and render it in 3D. Our app uses your smartphone's sensors to accurately track your head movement so that we can adjust the game camera whenever you turn your head! To enjoy true Virtual Reality experience with Intugame VR you need our Desktop app, which renders your game in stereoscopic 3D and streams it to our mobile client (We recommend running Intugame VR on Windows 10) and our Mobile app that displays the stereoscopic 3D image on your smartphone’s screen. QuarkVR SDK is a multi-platform VR development tool that allows you to build your virtual reality app, game or scene once and run it on every wired or wireless VR headset. The headsets include Google Cardboard, HTC Vive, Samsung Gear VR, Oculus Rift, Playstation VR, and many more. All the heavy lifting is done by the PC which then streams the VR-ready picture to the mobile device or headset. QuarkVR SDK is intended for every app, game or scene creator that wants to get in on the VR action, but doesn’t have unlimited budget or a dedicated teams for virtual reality development. 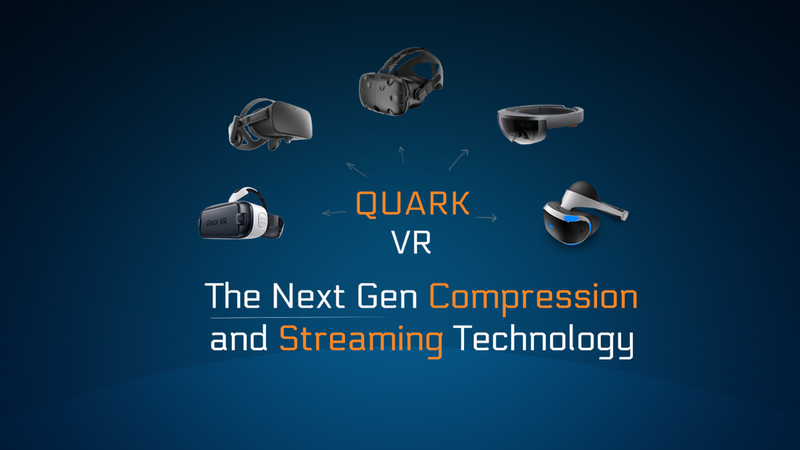 QuarkVR SDK integrates seamlessly with the most popular game engines Unity and Unreal.